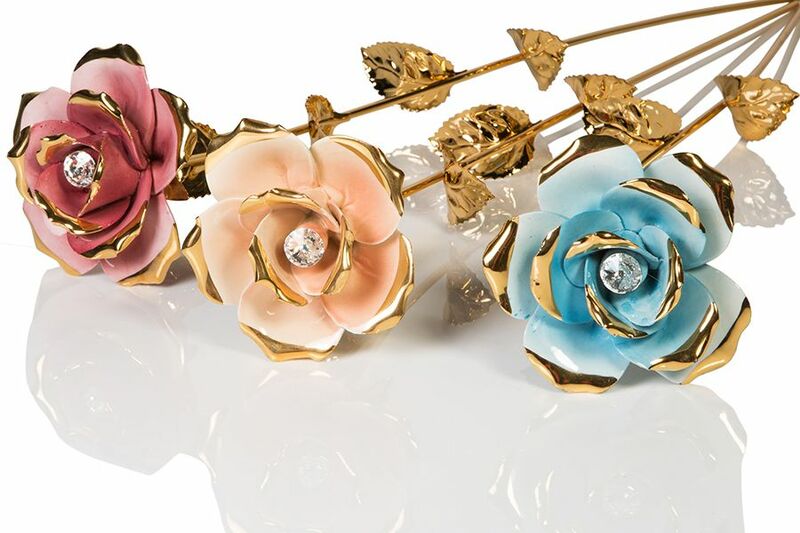 Ceramiche D'Arte rose flower with gold tone stem and leaves. Rose flower measures approximately H x22". Made in Italy. A perfect gift.